Firstly, congratulations on your Certificate of Merit as the winner of the Contamac Prize for best student on the 2017 ABDO Contact Lens Distance Learning course. What was your background and experience prior to the course? I qualified as a Dispensing Optician in 2003. Over the last 15 years, I have worked for various independent practices and have been settled in Specsavers, Wilton, Cork for just over 6 years. I have vast experience in all aspects of dispensing, with paediatric being my favourite by far. What made you want to embark on the Contact Lens course? I always had the intention of doing the contact lens course, however, various factors prevented me from starting the course until 2016. That summer, my director Dee Moore approached me and asked if I would be interested in undertaking the course. Our store was expanding, incorporating a separate contact lens area and testing rooms, so it seemed the best time to use the opportunity to upskill. What was the structure of distance learning like? You have to be very disciplined in your approach to your assignments. I did notice the step up from the Dispensing course to the contact lens level. I found I was required to do a lot more solo research on the weekly topics aside from the set coursework. I enjoyed working through each topic every week and submitting it to my tutor, and her feedback and support was invaluable. What was one of the most valuable things you learnt from the course? The course has given me great confidence in my approach to problems. I struggled the first few weeks with the work/life/study balance, but over time I learnt to be more patient with myself, which led to better productivity. It can be daunting stepping out of the comfort zone, but I love what I do at work every day now. I qualified as a Dispensing Optician in 2003 so coming back into study as a more mature student was a bit of a shock to the system! I did find the assignments time consuming, so it was definitely a matter of being disciplined with yourself and setting out a study routine. The time on block release, while invaluable, can be very hard going as a mum. I am very lucky that I had a great support system back home to organise my 3 children in my absence. Splitting my time away from dispensing and into the testing room was a challenge at the start. The dispensing experience built up over the years is missed in the practice but we soon adapted to my new role and location in the practice. Did the course help you moving forward with your career? Absolutely! 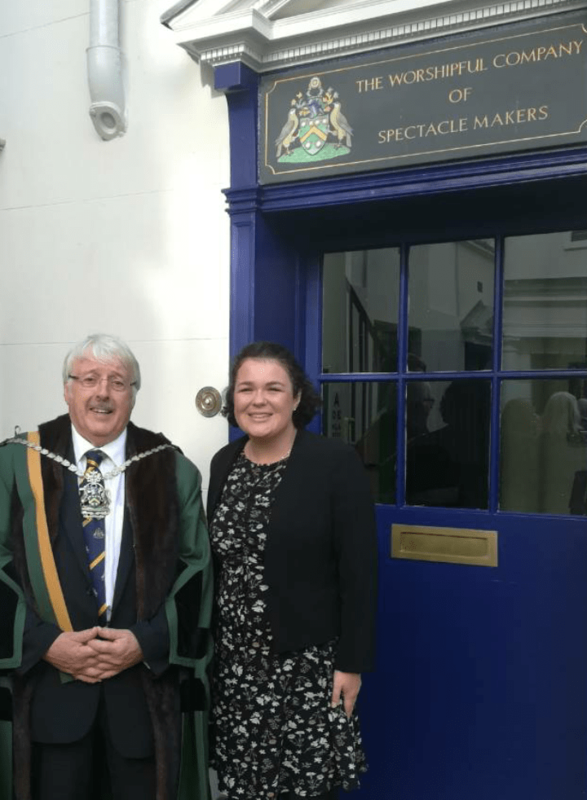 I am based in Ireland, where there aren’t as many Optometrists and Dispensing Opticians as there are in the UK; in fact, there is a shortage in some areas of the country. To have the contact lens qualification helps the store as I can take a certain percentage of the contact lens work away from our Optometrists and this frees up our eye test appointments. There is a small amount of practicing Contact Lens Opticians in Ireland so it’s a nice extra tool to have! What are you currently doing since the course ended? I am currently working on my case records and building up enough practical experience to be confident in sitting the practical exams next summer.